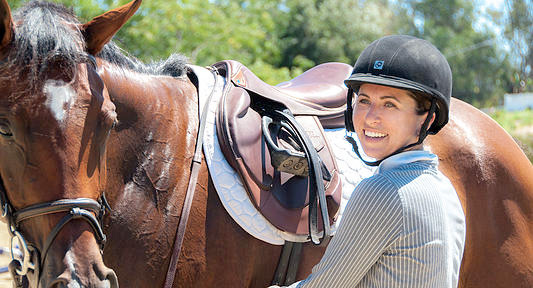 After years of training, riding, and competing all over the world Olivia decided to bring her knowledge and experience back to the Southern California eventing community. Riding from a very young age, it became clear early on that eventing was going to be Olivia’s focus. After achieving her "A" rating in Pony Club at age 17 Olivia was given the opportunity to train with Hawley Bennett throughout high school and competed at the CIC* level under her guidance. After training with Miss Bennett, Olivia went to work for and ride under Buck Davidson, competing through the advanced level and completing several two star competitions including an individual 4th place finish at the North American Young Rider Championships in 2007. From 2008-2011 she worked for David and Karen O'Connor where she continued her education both in competition and horsemanship. Olivia successfully competed at the advanced level with top finishes at international events including Fair Hill CCI (***) and Jersey Fresh CCI (***) and a 15th place finish at Rolex CCI (****) in 2011. Olivia Olivia then took up a fantastic opportunity to work for Britain’s top rider, William Fox-Pitt for the year of the London Olympics in 2012. Olivia has since returned home to run OKL Eventing, train, and compete. Bringing young horses through the levels and teaching all stages of eventing are Olivia's specialty and primary focus. During her free time Olivia enjoys giving back by contributing to Pony Club and helping to grow the local eventing community. Ultimately, Olivia is working to build up a team of competitive top level event horses to represent the United States in international competition. In this video, international Eventer, Olivia Loiacono of OKL Eventing, shows you how to practice and master a good solid pace for the Beginner Novice, Novice, Training and Preliminary levels of the cross country course. There is a lot to think about when riding cross country; including keeping a proper galloping position to achieve a rhythmical, consistent and balanced pace. 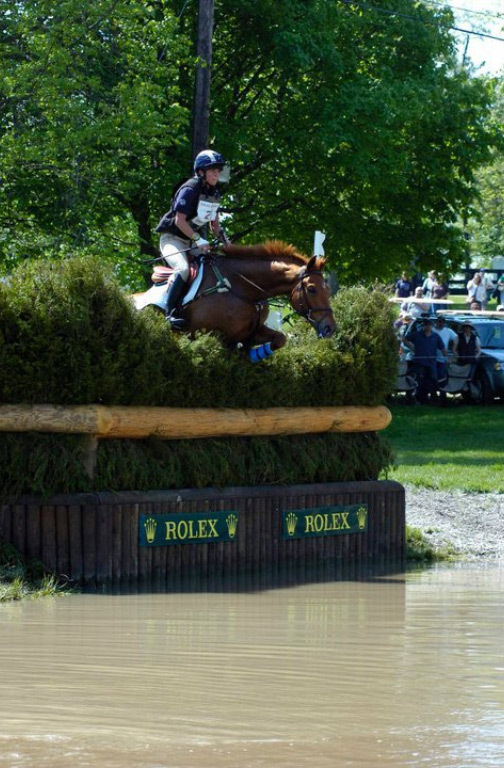 For any eventer, keeping the right pace for your level should become second nature, but it takes practice! Olivia shares some training exercises you can set up at home to establish and learn the correct pace for galloping at your level of competition. She also discusses how the reins (bridge and pulley rein) effect the horses balance - specifically the benefits of using a bridge as a tool for inexperienced riders to get better balance over their feet. Knowing different styles of holding your reins and hands is of the utmost importance when riding the eventing cross country course. Tools you will need for this exercise include flags (or markers), meter wheel, stopwatch and your horse. The United States Equestrian Federation's Rule Book and Omnibus listing is the official source for finding out what pace you will need to ride at for your specific level for each event. Simple corner jumps start to appear in low level cross country and become increasingly technical as the levels progress. It is crucial to introduce young horses to this obstacle in the correct way. Join International Eventer Olivia Loiacono as she demonstrates the necessary skills to properly negotiate this obstacle, such as establishing a line of direction, proper use of rein aids and incorporating the corner jump with a related line. © 2009-2019 EquestrianCoach.com - By Bernie Traurig. All rights reserved.